Just a quick note to let you know that boaters are welcome at the Leitrim Marina Hotel, located in the heart of Leitrim Village. My wife and I have been the owners of the Hotel since last August. 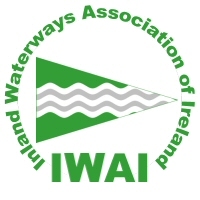 As fellow boaters and members of IWAI since 2006, we understand the joys of boating and hope to ad to the enjoyment of travelling the North Shannon and Shannon/Erne waterway. Boats are welcome to moor overnight in our private marina, free of charge. We have room for 6 boats if mooring stern too. Bigger Boats often tie to the outside wall, for ease of mooring. There are also the original public moorings just the other side of the bridge. With a little advance planning we can cater for a larger flotilla with permission from the private berth owners. Leitrim village itself is a great port of call. Facilities include the hotel, four pubs, a local butchers, hairdresser, convenience store, filling station, Chinese. There is live music every Saturday, year round and Friday and Sunday's during the summer months. Boaters can refill diesel at the local filling station. It is off the river however the private boaters here, including myself, are very obliging in lending 5 litre cans and trolleys for re-fuelling. If your comfortable using green diesel it works out much cheaper than some river pumps. The convenience store is also a great place for bread, milk and groceries. While in Leitrim don't forget to visit the remains of O'Rourke's castle, located at the public marina. There is a toilet and shower block also. The hotel itself is getting great reviews for the quality of its food. The head chef, Alex Jourdan, (French) works wonders in the kitchen. The bar and marina terrace is a good spot for coffees, wine, beer and sport on the TV's. Dine alfresco on the marina terrace and watch the world go by. Larger group's can avail of the function room on the 1st floor free of charge for BBQ, meals or parties, while overlooking the beautiful Shannon/Erne waterway, Sliabh an Iarainn and the surrounding countryside. The smaller ones can play safely in the hotels fully equipped playground. All boating visitors will receive a free gift of a 'Lifejacket' design bottle cooler. Not only will it keep your wine/beer cold, it will also stop it form sinking!!!!! Leitrim Village is a perfect stop off point when travelling on the Shannon/Erne waterway and for exploring all the North Shannon has to offer including Lough Key, Boyle, Battlebridge, Lough Allen amongst many more. This season please consider the Leitrim Marina Hotel when planning your branch events or as a stop off while cruising. Visit www.leitrimmarinahotel.com for more information. Please pass this message on to fellow members and committees. Many thank for that kind offer Robert & Caroline, we called into Leitrim for a few days when we were up north last season including a couple of visits to the hotel, didn't realise the marina was open to the users of the Hotel at the time though. Will certainly make a point of dropping in on the way up to the SEW this May. Looking fwd to meeting you both. Thanks for your invitation. We always stop off at Leitrim on our way up the SEW or Lough Allen canal and I have enjoyed a few pints on your terrace. Like you say, it is a great spot to "watch the world go by". I usually moor at the jetty beside the service block and had wondered about the marina next to the hotel but assumed that you needed a security code to get through the gate leading to the jetties. Will look forward to trying your menu the next time we are passing through. We are also always interested in places, right beside the waterways, which can accommodate guests who come down to visit. Will add your website to my favourites and look forward to meeting you both in the near future. good to hear the hotel is open again . leitrim is a great place to leave the boat before going north for a week or two . what is happening with the jetty which was put in by the developer of the flats . the last time i was there you had to jump ashore . also the 5 day rule wasnt enforced because it wasnt under control of w. i.
I'm not on the Shannon myself but it's great to have communication with fellow boaters and pits people at ease knowing that their custom is welcomed. > We have room for 6 boats if mooring stern too. Just on a point of clarification. I presume when you say "tie to the outside wall" you mean on the Hotel side of it. Last year when there was no space at the bridge or beside the services block we attempted to tie up to the "outside" of the wall and hit solid bottom when were still about 2-3ft out from the wall. (we draw about 3ft 8ins in the centre). 10.30 at night (in the pitch dark) to moorings at the pub in Battlebridge. ones who had to move. i am sure Robbie will speak for himself on this one. However my twupence worth is that unfortunatly this type of thing can happen anywhere on the water and during the span of a season we would generally see a couple of exampes of it inpublic harbours. Sometimes it appropriate to have a quiet word with the offenders, sometimes its not.......! 99% of the time we spend on the water we are fortunate enough to meet people who like ourselves just want to have a pleasent peaceful time, so I gues we have to put up with the unfortunate 1% of "others" whose idea of ebjoying the waterways is quite different ! ! ! I suspect though that in the case of the Leitrim Marina Hotel, that Robbie as berth-holder of the specific six berths a has no more jurisdiction over the rest of the berths than you or I, and therefore can do no more than ask the offenders to have some consideration for their neighbours. I would hope Andy that your unfortunate incident was an isolated one as we have visited there several times (by road also) and if anything the Marina has seemed extremely quiet. Thanks for the details Robbie and the best of luck with your venture. WIFI Broadband would have seemed like science fiction back then !! Richard. A packet of bird seed repays the noisy brats. Edited 1 time(s). Last edit at 28/02/2010 21:08 by Dermot Mangan. they moored but the name ,Ox Bow ?? > where they moored but the name ,Ox Bow ?? Edited 1 time(s). Last edit at 28/02/2010 22:58 by OceanFroggie. Hi Shane, Well that describes the location exactly. > Hi Shane, Well that describes the location exactly. It is the normal geographical description for such a thing. 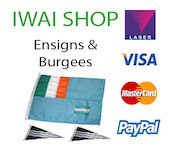 Perhaps we should sell "anti lout" bird seed from the iwai online shop! Nice dewey night, chuck a packet over the damp grp hull of an offending vessel about 0700am and the little beak kango hammers will peck at the hull for hours waking the thugs from their undeserved slumber. eventually silts up and gets separated from the main flow. Does any know if there is or was such a thing arround there.